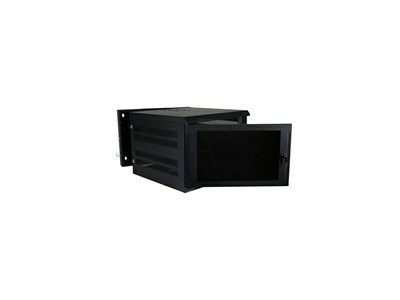 Quest 300 Series Wall Mount Enclosures are our best selling wall mount enclosures. They provide equipment access through the smoked acrylic reversible front door, as well as through a locking swing-out rear access. They come with front cage nut rails, are available in seven sizes, and come in black powdercoat microfinish.